Update 4/8/18: We have learned more information about this hidden screen mode. See below. Well, here’s something interesting. The Sony Xperia XZ Premium is a 2017 flagship that is most notable for its 4K HDR display, but there’s another hidden trick up its sleeve: Its display panel actually supports a high frame rate 120Hz mode like the Razer Phone. Rumors of this hidden screen mode have been floating around the Internet since around the time of the device’s launch, but because it requires a modification to the kernel to enable, not many users have been able to actually test it. Recently, however, we’ve been hearing that many users have started to test this hidden screen mode…and the results are pretty inconsistent, unfortunately. For context, the Xperia XZ Premium display panel supports 3 screen modes: [email protected], [email protected], and lastly the disabled [email protected] mode. This disabled high frame rate mode can be enabled by reverting this commit to the display panel configuration in the kernel source code. 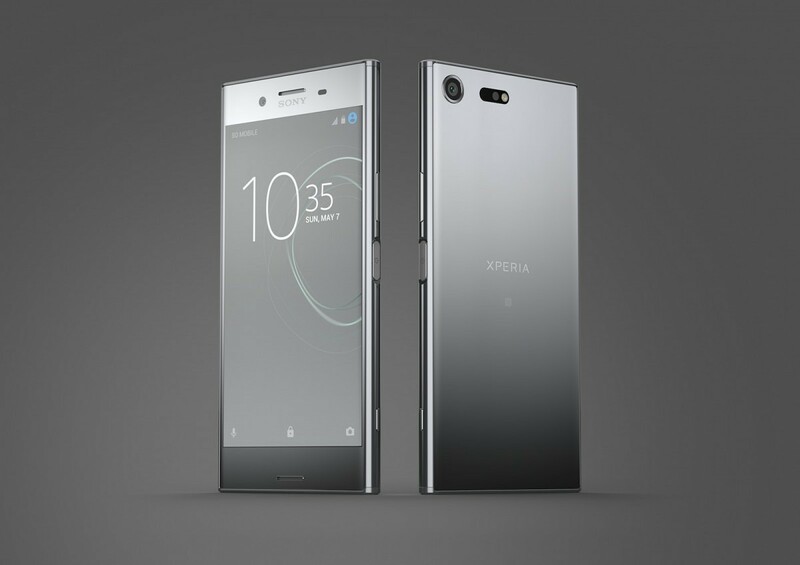 Thanks to the Sony Open Device Program which supports the Xperia XZ Premium for its latest Android Oreo release (and even on Linux kernel version 4.4! ), it’s fairly easy for developers to build a functional AOSP ROM for the device. (Unfortunately, there’s the lingering issue with the DRM keys being wiped when unlocking the bootloader, resulting in shoddy camera performance.) Using the latest sources, XDA Member uditrawat compiled Android 8.1 Oreo for the XZ Premium with support for the 120Hz screen mode. According to various members of our forums who tested the build, the results are inconsistent. Some say that it works, while others say it’s nothing but a placebo. Personally, I think if it worked, it would be very easy to notice. Perhaps AOSP doesn’t support high frame rate displays natively and instead requires additional patches to the framework. One tester who flashed a Generic System Image build of LineageOS 15.1 for the Razer Phone reported that the phone ran at 90Hz (the default refresh rate specified in that phone’s kernel), so I’m not too sure of the reason why it doesn’t work for the Sony Xperia XZ Premium. Regardless, it’s quite an interesting development to watch. There must have been a good reason why the Sony Xperia XZ Premium doesn’t allow for the 120Hz refresh rate out of the box. I don’t think it has to do with performance as the device uses the same system-on-chip as the Razer Phone (the Qualcomm Snapdragon 835), so I’m leaning towards Android compatibility or perhaps display panel inconsistency. Hopefully, developers are able to work out the kinks here to get the Sony Xperia XZ Premium stable at 120Hz, or hopefully, Android P will officially add support for high frame rate displays. Given Sony’s track record with submitting upstream changes to AOSP, I would think that if the company truly wanted the XZ Premium to support the high frame rate mode, we would be seeing support for it in AOSP already. It turns out that there are more Sony devices that have a hidden 120Hz display mode disabled by the kernel. XDA Recognized Developer Myself5 went digging into the source to confirm to us that the Sony Xperia X, Sony Xperia X Performance, Sony Xperia XZ, Sony Xperia XZ1, Sony Xperia XZ1 Compact, Sony Xperia XA2, and Sony Xperia XA2 Ultra all support this screen mode. Basically, any new Sony phone except for the Sony Xperia X Compact should support this mode. However, the screen mode currently isn’t working on the AOSP ROMs compiled for these devices because the toggle to switch between the modes doesn’t work. That doesn’t mean the screen mode itself doesn’t work, though, as Myself5 states that setting the kernel to default to that screen mode would work. If or when the 8.1 builds for these Sony devices support the high frame rate screen mode, CarbonROM and other AOSP-based ROMs will start to integrate those patches.